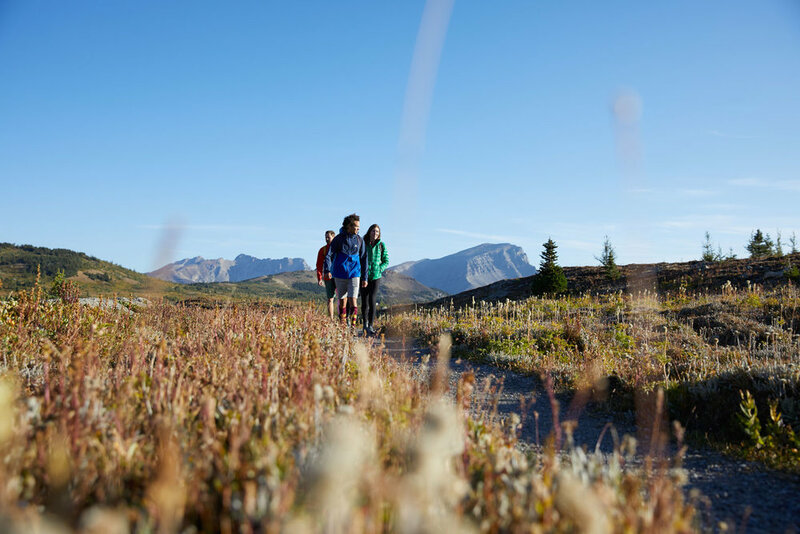 SPEND SOME TIME WITH US & FIND OUT WHY THE BANFF SUNSHINE MEADOWS EXPERIENCE IS 7,000 FEET ABOVE ORDINARY. Ride the Standish Chairlift to over 2,385m (7,825 ft) — the highest lift-accessed sightseeing elevation in the Banff and Lake Louise area! It’s also the only gondola with sightseeing access to 3 pristine alpine lakes. Surrounded by the iconic peaks of the Canadian Rocky Mountains, experience stunning 360 degree views. From there, catch even more breathtaking scenery from the Standish Viewing Deck and take in the vistas of three pristine alpine lakes; Laryx, Grizzly, and Rock Isle. Ride the gondola or take the scenic bus to the Mt. Standish Sightseeing Chairlift and stunning Sunshine Meadows. Explore the trails of Sunshine Meadows with a Hosted Trail Tour.